I joined the C&C boards a few months ago, but haven't had time since (due to moving twice) to post much. SO...allow me to say hello, and thank you for welcoming me to your forum. 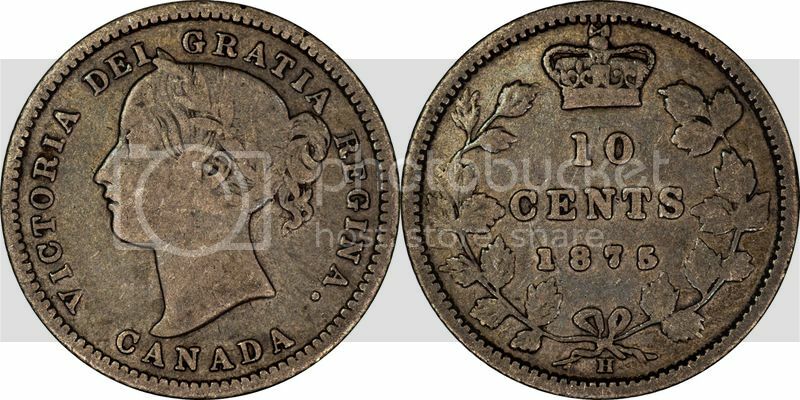 I'd like to start off by offering a wonderful key date 1875 H 10 Cents - problem free, solid VG/F (depending on who you talk to about grading...) This coin was found hiding at a local coin shop in a bag of foreign silver, and now it's time for it to find a new home with someone who can appreciate it. Hopefully it helps fill a difficult spot for someone! I am open to reasonable offers as well as trades for silver coins/bars/rounds. Have to say I'm a bit disappointed - thought someone would at least be interested and make a reasonable offer.